Civil litigation is a legal dispute between two or more parties that seek money damages or some other form of relief. The civil litigation attorneys at Eliopoulos & Eliopoulos, PC. represent clients, both as plaintiffs and defendants, in a wide variety of issues that require legal action. Litigation can be a complicated and stressful process requiring competent attorneys to represent your interests. At Eliopoulos & Eliopoulos, our litigation practice covers a large variety of legal matters. Our clients include individuals, proprietorships, partnerships, limited liability entities, business trusts, corporations, and joint ventures involved in legal disputes. We have assisted clients in resolving litigation concerning the acquisition, disposition, valuation and division of real estate assets; breaches of agreements concerning real estate; commercial landlord-tenant disputes; partnership disputes; and disputes between property owners and contractors. 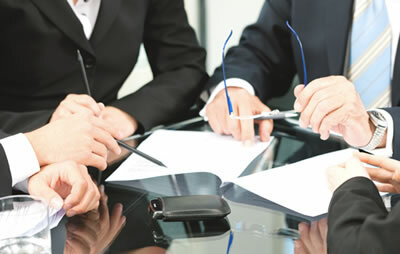 We also advise and represent clients, both large and small, in areas of complex commercial litigation, including breach of contract, breach of fiduciary duty, business torts, unfair and deceptive trade practices, non-competition agreements, corporate freeze-outs, shareholder derivative lawsuits, and other commercial disputes. We have represented numerous clients in a wide variety of tort litigation. Our firm also has extensive experience representing heirs and family members in will contests, and cases involving the interpretation and enforcement of trusts and the obligations of fiduciaries. Our civil litigation attorneys have successfully guided many clients through a myriad of civil or commercial disputes in state courts, including the Land Court, Superior Court and Appeals Court, as well as in arbitration and mediation. Our attorneys have considerable trial experience in pursuing and defending against complex disputes. We pride ourselves on preparing carefully planned, creative, and cost-effective strategies for the successful pursuit, defense and/or resolution of all types of disputes. From the conference room to the courtroom, our firm has the experience to guide our clients through the litigation process. For more information about our practice in Civil Litigation or need legal guidance, please call us at 978-250-3800 or send email here.